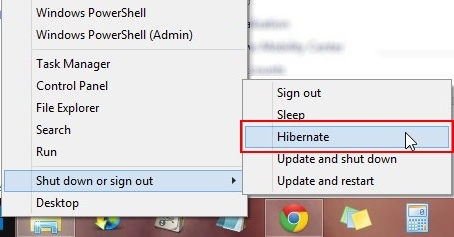 Here is a short tutorial on how to add Hibernate option to Windows 8.1 Power User Menu. Windows 8.1 users have an advantage of quickly accessing the Shutdown, Restart, and Sleep options through the Power User Menu, which gets opened by right-clicking on the Start button in the taskbar. However, if you are missing the Hibernate option and wants to add it to the Power User Menu, you can follow some simple steps we are going to share with you. Let’s have a look at the steps. Go to your desktop screen and press Win +I. Settings flyout will appear from the right. Click on Control Panel. Control Panel window will open up. Click on Power Options. Now click on “Choose what the power buttons do” link from the left panel. Next, click on “Change settings that are currently unavailable” link, as shown in the screenshot below. Now scroll down the next screen and check the Hibernate option under Shutdown settings. Once this is done, click on Save changes button at the bottom. Now close the Control Panel window. After this, head back to Power User Menu by right-clicking on the Start button. You will find the Hibernate option added to the menu. 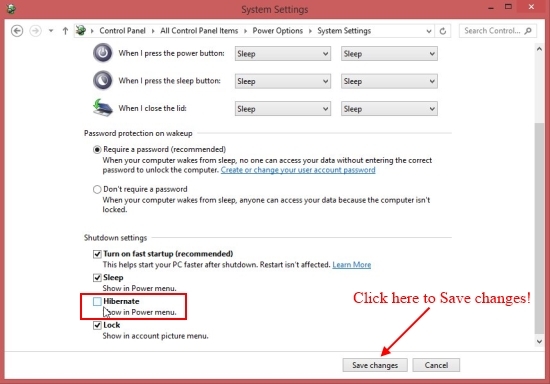 This is how you can add Hibernate option to the Power User Menu of your Windows 8.1 system. Looking at the steps, you might have realized how simple is that to enable Hibernate option on Windows 8.1. So go ahead and try it now! Do share your feedback or questions via comments. How to disable automatic Windows Store app updates in Windows 8.1. How to bring the missing graphical Windows Experience Index tool back in Windows 8.1. 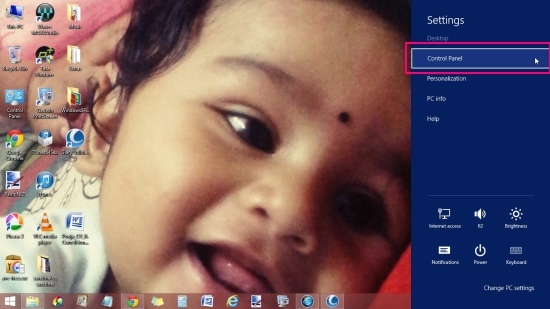 How to get Windows 7 Or Windows 8 style File Explorer On Windows 8.1.